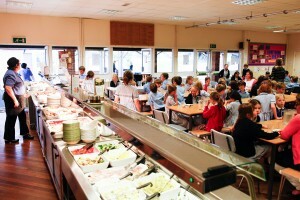 The school catering is run by Harrison Catering Services. Since its founding in 1994, HCS has always been about quality fresh food prepared on-site and served by people who love what they do. Over 100 clients across the UK enjoy a Harrison food service, with more than 100,000 meals being served each day by approximately 2,600 staff across more than 400 sites. Harrison understands that what children eat, particularly in the preparatory years, affects their health and their ability to learn and perform in the classroom. 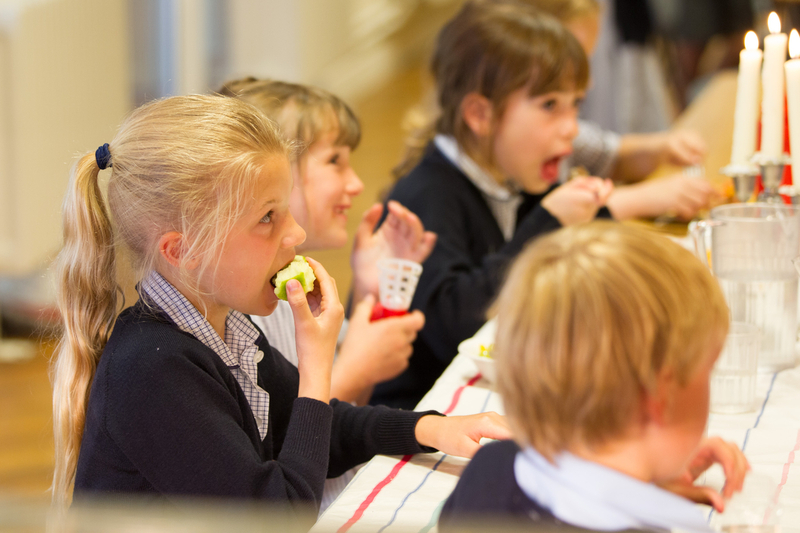 At Cranleigh Preparatory School, our catering team provides nutritious, balanced meals to both day and boarding boys and girls, and we work to educate the children on how to make healthy food choices. Our goal is to instil a love and understanding of fresh, healthy food at a young age that will positively influence them throughout life. All Harrison staff receive training in how to prepare and serve healthier food through the company’s bespoke Eat Well Live Well training programme. Our catering team at Cranleigh Prep works with the school council to tailor menus to the tastes and preferences of the children. 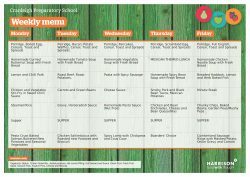 We introduce further interest and excitement to our menus through themed lunches and dinners ranging from special holidays like Halloween and Christmas to cuisines from around the world, tying these into the school curriculum whenever possible. We have a no nut policy at Cranleigh Prep and work with parents to make any other adaptations necessary to accommodate specific food allergies. 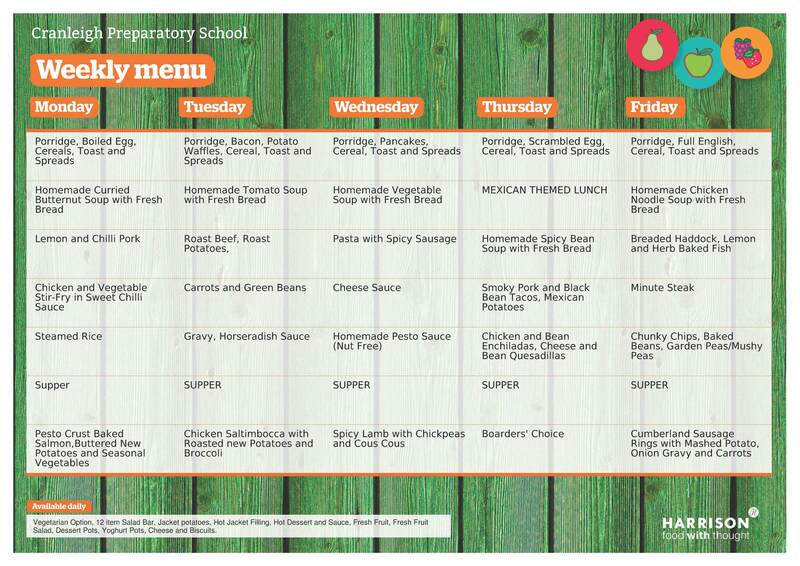 Click here for a sample weekly menu.